Contrary to much popular belief, the Twelve Days of Christmas do not end with Christmas, but rather are the 12 days from Christmas until the beginning of Epiphany (January 6th; the 12 days count from December 25th until January 5th). In some traditions, the first day of Christmas begins on the evening of December 25th—with the 12 days beginning December 26th—and includes Epiphany on January 6th. That said, here's a sumptuous still life for your post-Christmas-second-or-first-day-or-who's-counting enjoyment. 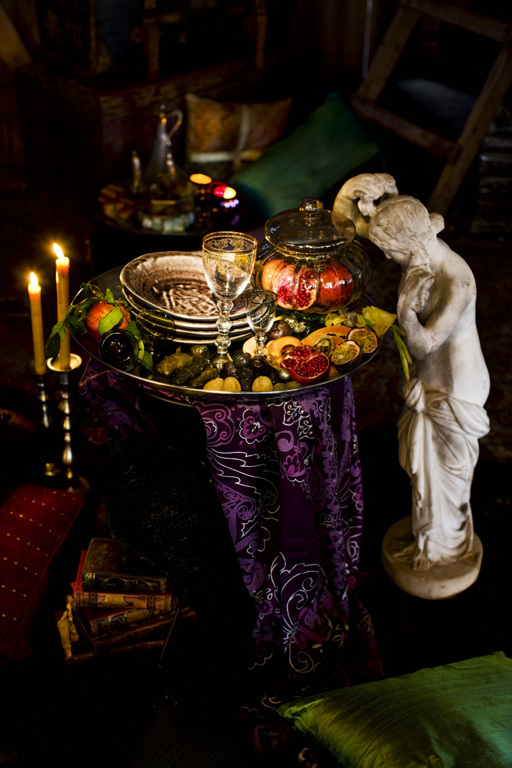 The dark, rich, candlelit composition of pomegranates, figs and dolmathes is perfectly delectable. That IS a lovely still life! Happy New Year!